I’m on an energy bar kick lately because, summer snacks should be simple. But should taste like dessert. As soon as I saw how easy it was to make my own homemade Salted Dark Chocolate Almond Larabars, I was hooked. Now I’m whipping up new flavors left and right. 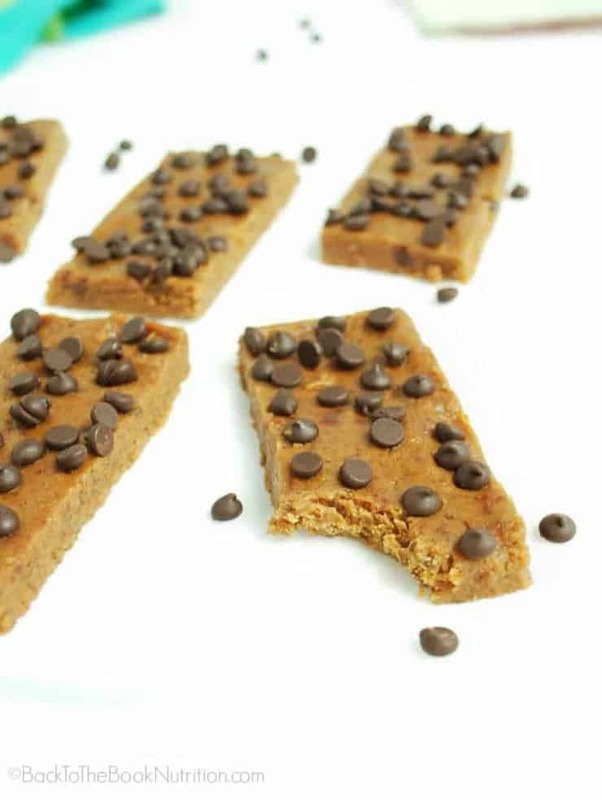 And, so far, our favorites are these Peanut Butter Chocolate Chip Larabars. 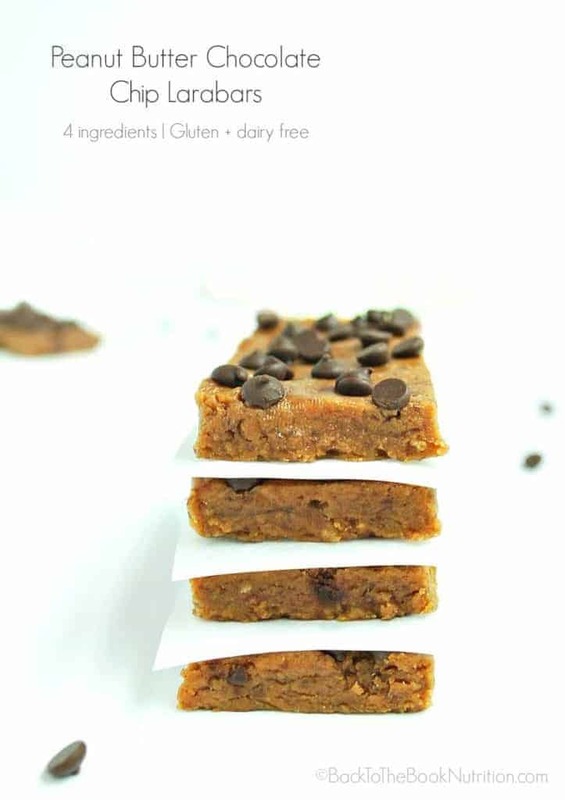 They taste like cookie dough but are made with just a few healthy ingredients! 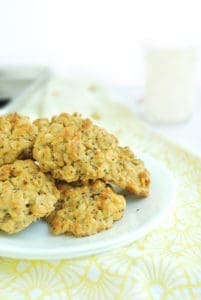 They’re gluten free, grain free, and dairy free, and could easily be made peanut free by substituting almond butter. Plus, they’re about 40% cheaper than the original! These are the ultimate easy summer breakfast or pool snack. I’ll go ahead and admit, my kids would rather buy a Drumstick from the concession stand at the pool than eat an apple or celery stick. But, if I bring a few homemade Larabars, it’s a cinch to win them over! And you’d better believe these will be making appearing in lunch boxes when back to school time comes too! 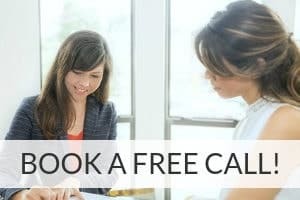 Gluten free, grain free, and dairy free, and could easily be made peanut free by substituting almond butter. Place dates, peanut butter, and vanilla in a food processor with the S blade in place. Pulse until mixture resembles large moist crumbs. 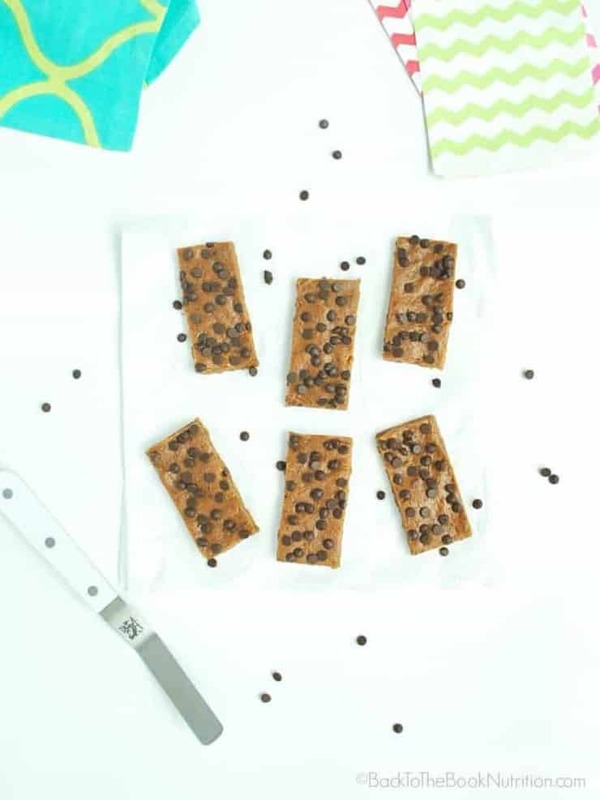 Sprinkle chocolate chips evenly across surface, pressing gently to keep them in place. Refrigerate until firm, then slice into bars with a sharp knife. * Medjool dates are super moist - if substituting another type of date, you may need to add a spoon or two of water to the food processor. 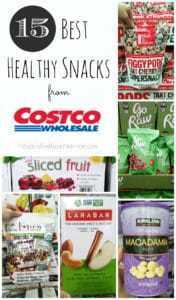 Check out these other healthy snack ideas! I am in love. 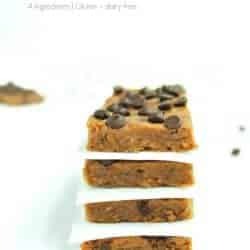 I love energy bars and these are so easy to make. Thanks, Anna – hope you enjoy them! These look great – we love making homemade Larabars too. 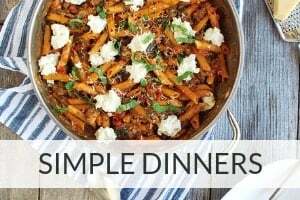 Pretty easy to make and saves money -especially if you can get ingredients in bulk from Costco! Big YES on the extra savings at Costco, Lydia! Dates and peanut butter- such favorites in our home!! These look great. These look delicious! I’m big on keeping “mom snacks” in the car for when my kdido takes a car nap and I’m starving. These are perfect! Yum, these look too good! Peanut butter and chocolate AND a pretty healthy treat–how does it get better? Great – hope you enjoy them as much as we do!